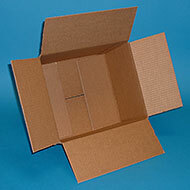 Manufactured in Single wall Corrugated 48 ECT or greater. Brown or white. Furnished flat - Sold by the bundle only. First dimension is Length followed by Width and then Depth. All dimensions are inside dimensions. Don't forget packing tape to close or seal your boxes.